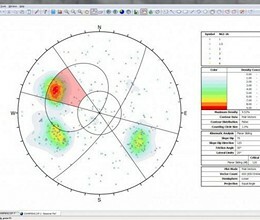 Dips allows the user to analyze and visualize structural data following the same techniques used in manual stereonets. 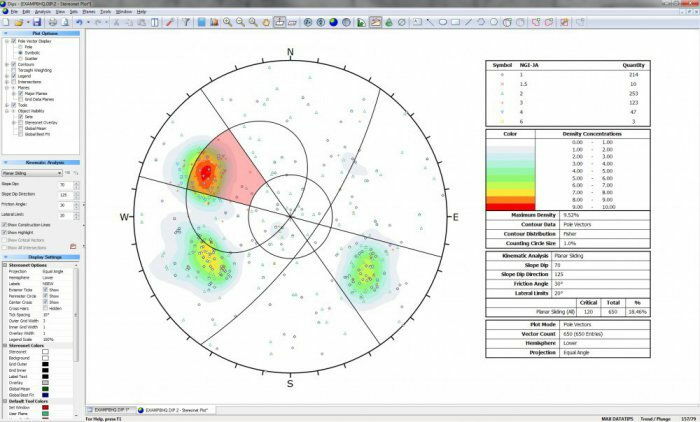 In addition, it has many computational features, such as statistical contouring of orientation clustering, mean orientation and confidence calculation, cluster variability, and qualitative and quantitative feature attribute analysis. * Dips download link provides trial version of the software. Dips has been rated 4.8 out of 5 points. A total of 5 votes cast and 0 users reviewed the software.